This home is one of a kind! 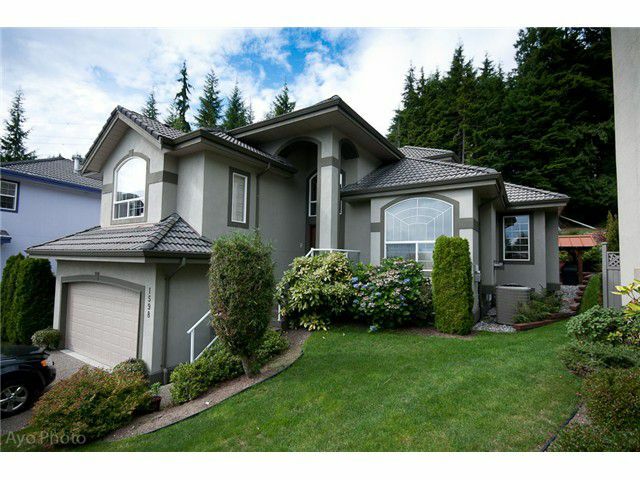 Over 26,000 sqft (1/2 acre) totally private, quiet, cul-de-sac, greenbelt lot. The beautiful private back deck includes a gazebo with a natural gas fire table, outdoor furniture, and covered area for natural gasBBQ. The main floor boasts solid oak hardwood floors, stainless steel appliances, granite countertops and pendant lighting. Upstairs has 4 bedrooms with 2 ensuites, the large master has Jacuzzi tub and view of the private back yard. Downstairs has 2 bdrms, kitchen, games/tv room and private back entrance. Kitchen reno & hardwood 2006, Heat Exchange System 2009 - air conditioning, hot water tank 2012. This executive property must be seen to be appreciated.